Male Fern (Dryopteris Filixmas) is known as other names: Apsidium, American Aspidium, Bear's Paw, Dryoptère Fougère Mâle, Dryopteris filix-mas, European Aspidium, Male Fern, Fougère Mâle, Helecho Macho, Knotty Brake, Marginal Fern, Shield Fern, Sweet Brake. The common Male Fern, often known as Dryopteris Filix-mas (Linn. 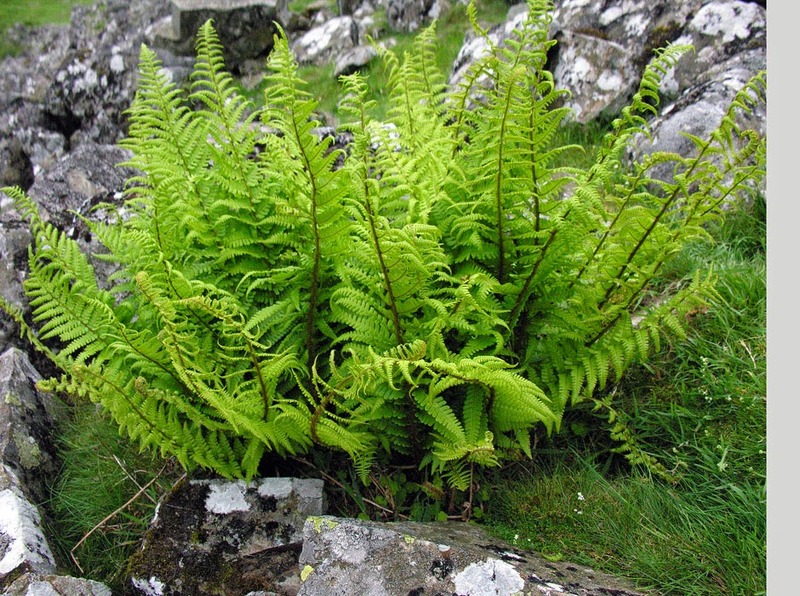 ), and assigned by other botanists to the genera Lastrea, Nephrodium and Polypodium, is one of the commonest and hardiest of British Ferns and, after the Bracken, the species most frequently met with, growing luxuriantly in woods and shady situations, and along moist banks and hedgerows. In sheltered spots it will sometimes remain green all the winter. This Fern grows in all parts of Europe, temperate Asia, North India, North and South Africa, the temperate parts of the United States and the Andes of South America. The root-stock or rhizome is short, stumpy and creeping, lying along the surface of the ground or just below it. From its under surface spring the slender, matted roots. The crown of the rhizome is a brown, tangled mass, with the hairy bases of the leaves, and in it is contained the mass of undeveloped fronds which, as they unroll, grow in a large circular tuft and attain a length of from 2 to 4 feet. Each frond is wide and spreading, stiff, erect, broadly lanceolate or lance-shaped, the stalk covered with brown scaly hairs. The pinnae are arranged alternately on the mid-rib (which is also hairy), the lower ones decreasing in size, and each pinna divided again almost to its own mid-rib, the pinnules being oblong and rounded, with their edges slightly notched and their surface somewhat furrowed. The sori are on the upper half of the frond, at the back of the pinnules, in round masses towards the base of the segments, covered with a conspicuous, kidney-shaped indusium. The male fern is one of the most powerful medications for tapeworm ever documented in the records of medicine. Normally this useful herb grows up to two to four feet in height and bears insipid green leaves also known as fronds. These fronds are narrow and tasseled and grow closely packed all the way up to the fleshy stem. On the underside of the fronds, there are two rows of dark brown spores. The rhizome or tuber of the male fern is reddish brown in color and is usually small, bulky and scaled. The male fern is also known as the ‘bear's paw' and it probably earned this nickname owing to the look of its rhizomes or tubers that are hairy and dark brown. Scientifically, the male fern is called Dryopteris meaning ‘oak fern' in Greek. It acquired this name because the male fern is habitually found to grow in oak woods. On the other hand, botanists call this species ‘filix-mas' meaning the ‘male fern'. As mentioned earlier, the spores found underneath the fern leaves or fronds produce both male and female cells. Thus, the ferns reproduce from these spores. In many cultures across the globe, people think that the ferns have the capability to transform poor people rich. For instance, a Russian myth says that if a person finds a fern blossoming during the Midsummer Eve and throws the fern in the air, he will find a fortune where the fern lands. On the other hand, a fable in Syria says that collecting fern spores on the Christmas night will compel the devil to part with his money. The strange renewal of ferns at times has given rise to an antique faith that the spores found in the underneath of the fern leaves or fronds bestows invisibility to people on whom it is showered. Significantly, the fern leaves or fronds may also be boiled and consumed as a vegetable. For instance, during the famine period in Norway, people mixed the fronds with bread and brewed them for beer. The male fern has multiple medicinal values. Over the centuries people have been making use of oil taken out from the tuber or rhizome of the herb to cure problems arising owing to tapeworms and also liver flukes or barbs. Researches have discovered that compounds like filicin and filmarone present in the oil extracted from the male fern rhizome are harmful for the worms. Studies have also established that the oleo-resin (a mixture of a resin and an essential oil, either obtained naturally from plants or produced synthetically) in the oil render the worms incapable of movement and thus restrain the maggots or larvae from sticking themselves to the intestine walls. Here is a word of caution. It must always be borne in mind that excessive dosage of the male fern is highly noxious and one should never use the herb without consulting qualified physicians. If taken in high doses, medicines prepared from the male fern may prove to be fatal too. 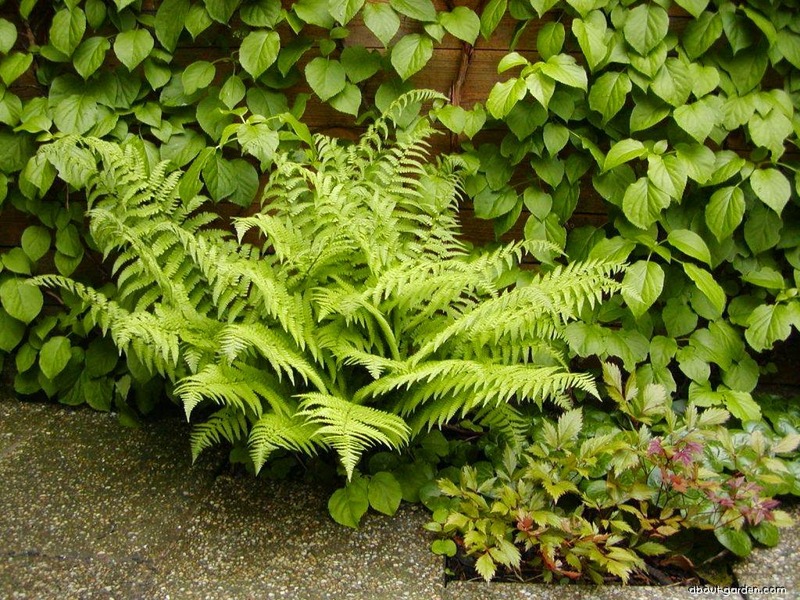 Male fern is used to treat nosebleeds, heavy menstrual bleeding, wounds, and tumors. Male fern is unsafe. It is a violent poison and should not be taken by mouth. 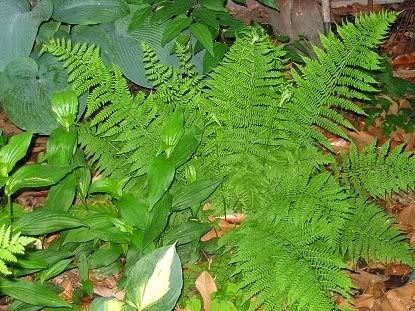 Male fern shouldn't be used by anyone. Some people may be at even higher risk of side effects. If you take it while pregnant or breast-feeding, you will endanger yourself as well as your baby.